Known as "The Golden State," California is one of the most beautiful and varied states in the U.S. Because of its immense size (only slightly smaller than the entire country of Sweden), environmental diversity (urban, desert, coast, and forest), ethnic variety, and history of innovation, the state has something amazing to offer just about any visitor. More than 15 million people from outside the U.S. visited California in 2014, along with a million more from other American states. From sun-drenched deserts to dense, shaded redwood forests and snow-capped mountains, the Golden State offers a dazzling array of natural beauty. For city-lovers, California metropolises of San Francisco, Los Angeles, and San Diego are among the world’s most fascinating and beautiful destinations. Below, I have listed what I believe to be the top 20 places to visit, including a diverse selection of natural wonders and popular man-made attractions. I followed that up with a regional break-down. Bring this list along as you plan your trip. Happy travels! Just east of Redwood National and State Parks is Shasta-Trinity National Forest, where lake swimming, mountain climbing, and hiking opportunities abound. If you can spend a few days in the area, continue east to Lassen National Forest. Explore the unique volcanic and hydrothermal features of this park. The name of this park may seem strange, but that's because it actually comprises a number of state parks. More than 133,000 majestic acres of parkland, the park protects 45% of remaining coastal redwood trees. 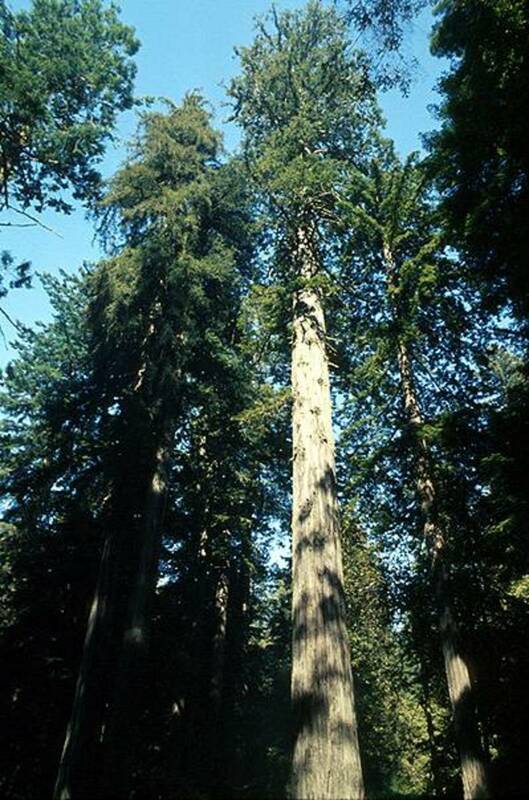 These trees are the tallest and among the most massive trees on earth. Hiking and back-country camping are permitted; the only hotels are in nearby towns including Klamath. This fascinating volcanic park is less-visited than some in California, but hosts some of the most incredible views in the state. 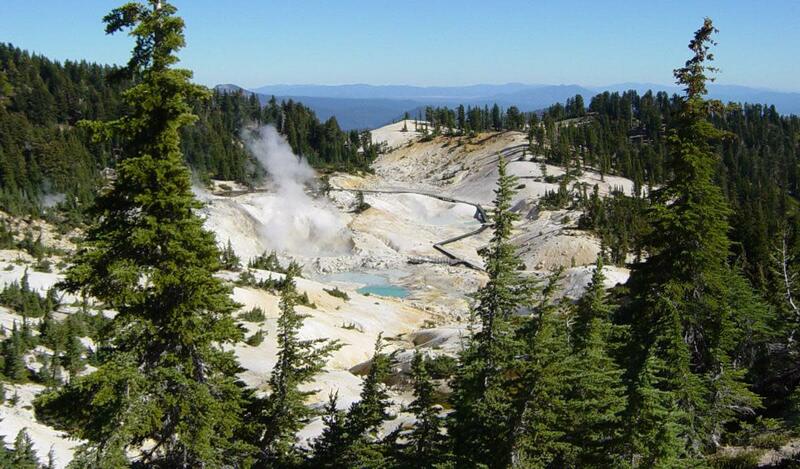 With over 150 miles of hiking trails, eight campsites, and the largest plug-dome volcano in the world (Lassen Peak), the park sits on an area known for its hydrothermal activity. Trails take visitors past roaring fumaroles (steam and volcanic-gas vents), noisy "thumping" mud pots, boiling pools, and steaming ground. In Redwood National and State Parks you will be surrounded by the tallest, most massive tree species on earth. Enjoy camping, hiking, and picnicking. Mountain lakes and rivers along with horseback riding opportunities make this forest a unique visiting experience. Lassen National Forest is one of the best places in the state to learn about the night sky. Enjoy starry night programs far from urban lights. What's your favorite place to visit in Far Northern California? 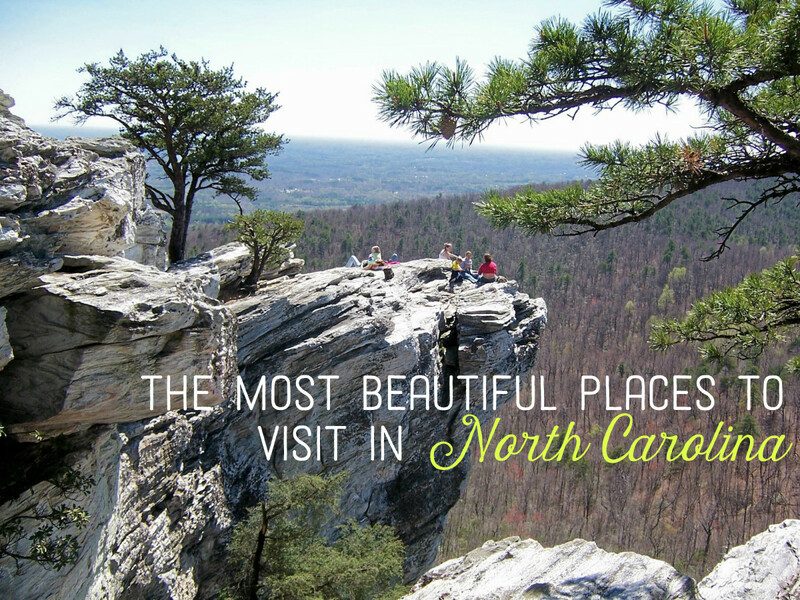 This area of the state has something for everyone. As with any region of California, you’ll need a car to enjoy it the most. Here are a few different ways to experience Northern California. San Francisco to Lake Tahoe You can stretch a 3.5 hour drive into a five-day trip. On U.S. 101 head north over the Golden Gate Bridge into Marin County. Drive west on Hwy 1 at Mill Valley and visit Muir Woods. Continue along the coast to Stinson Beach. 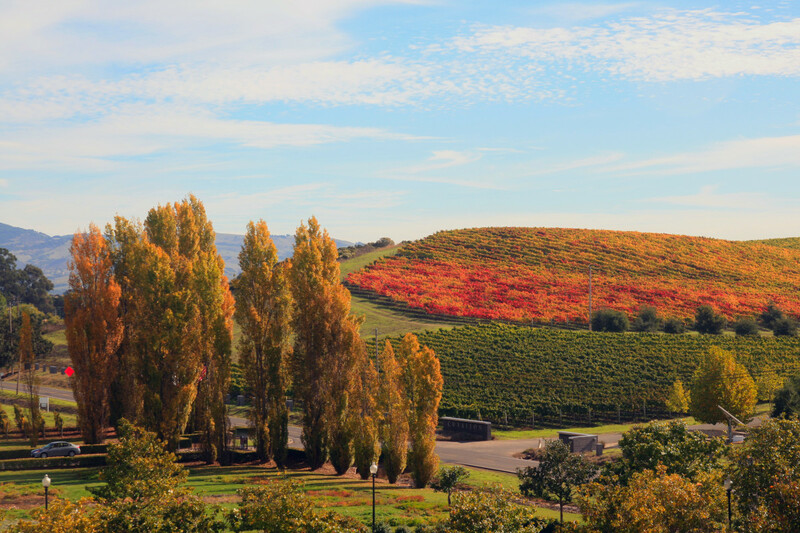 Find your way through the hills of Marin to Hwy 101 and head north through beautiful Sonoma County. Continue on into the wine country of the Napa Valley. From Napa drive toward Sacramento on I-80 and visit the state capitol. From Sacramento to Lake Tahoe is two hours of freeway driving. 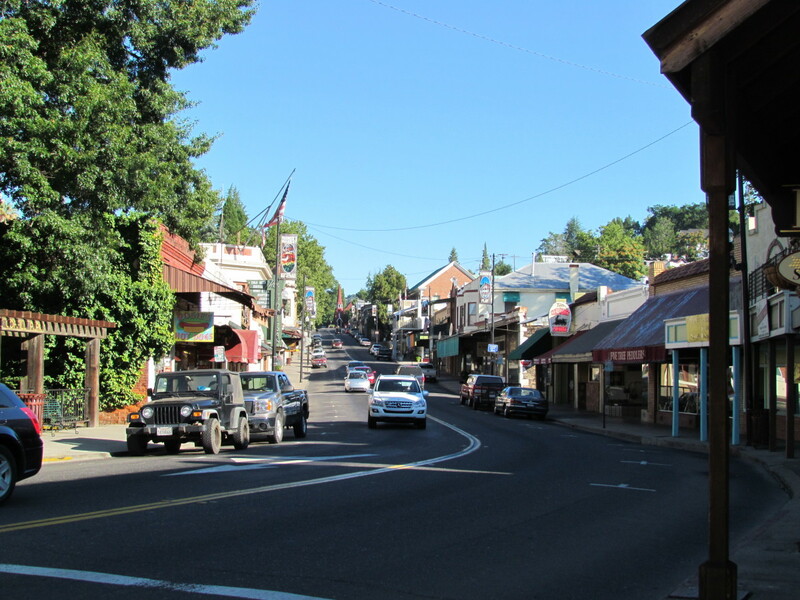 For a longer adventure, take Hwy 16 from Sacramento to Hwy 49 and follow the Golden Chain Highway north to Placerville. This is gold-rush country and well worth a visit. Continue to South Lake Tahoe on Hwy 50. California’s Napa Valley is one of the world’s premier wine-making regions. Wines have been made there since the 19th century, but premium production began in the 1960s. The area encompasses the towns of Calistoga (known for its mineral baths, spas, and fine dining) and Napa. As the wine industry has grown, so have the number of world-class restaurants and hotels. The area has an elegant, rustic feel that brings to mind regions of France and Italy. The largest freshwater alpine lake in North America, Lake Tahoe is a vacation destination for foreign and domestic travelers alike. Famous for its outdoor recreation opportunities, including skiiing, waterskiiing, hiking, fishing, and camping, Lake Tahoe’s south shore (technically in Nevada) features a number of large casinos for gambling and entertainment. Head north over the Golden Gate Bridge, through Marin and Sonoma counties, and into the wine country on your way to Lake Tahoe. Stop in Napa Valley and enjoy the many beautiful (and delicious) wineries. Then head north-east to Sacramento. The largest freshwater lake in North America, Lake Tahoe is a vacationer's paradise, with swimming, hiking, and even gambling opportunities. 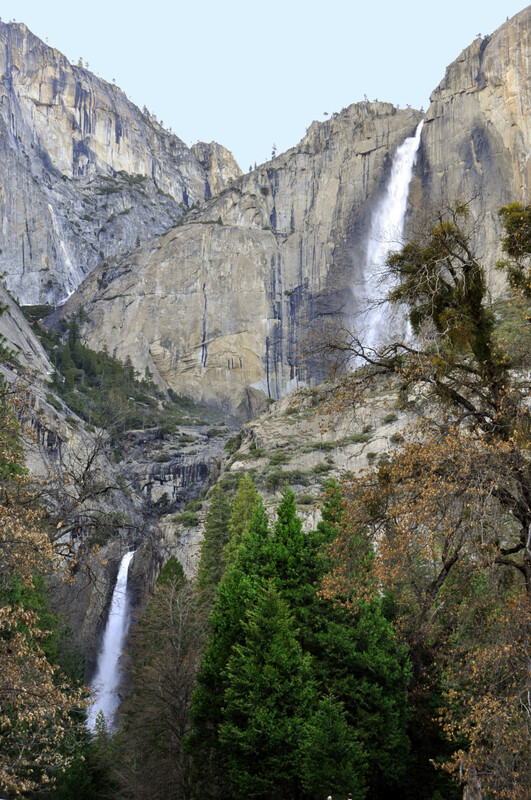 San Francisco to Yosemite You can stretch a three-hour drive into a five-day trip. From the San Francisco Bay Area, head east toward Oakdale. If you’ve checked and there’s no snow at high elevations, exit Hwy 120 onto Hwy 108 toward Sonora, Jamestown, and Columbia State Historic Park. This is gold-rush country and could make for a two or three night visit. Loop back to Hwy 120 towards Yosemite. Enjoy the stunning, high-Sierra views. If you want to stop and stretch your legs, follow the signs off Hwy 120 to the Hetch Hetchy Reservoir. This valley, described by naturalist John Muir as even more beautiful than Yosemite Valley, was dammed in 1923 to provide water for San Francisco. Still breathtaking, the valley offers trails past waterfalls, wildflower-covered hillsides, and spectacular views. Continue on Hwy 120 into Yosemite Valley. Yosemite has some of the most amazing views in the world. Weeks of visiting in this park couldn't unlock all the beauty and majesty on display. Far and away the number one place to visit in the great state of California, Yosemite reaches across the western slopes of the Sierra Nevada Mountains. Time seems to stand still when one gazes up at huge granite monoliths and domes carved by the slow movement of glaciers thousands of years ago. For hiking, biking, swimming, or touring, Yosemite Valley is an awe-inspiring destination. Begin in San Francisco and head east over the San Francisco Bay Bridge onto I-580 East. Stop in the historic gold-rush country for a taste of old California. This beautiful valley offers hiking and picnicking on your way to Yosemite. One of the most breathtakingly beautiful places in the world, Yosemite offers something for any traveler. What is your favorite place in Northern California to visit? The central region of California offers an abundance of coastal as well as inland destinations for travelers. Take a week or so to make your way south to Los Angeles. Start on Hwy 1 in Santa Cruz. Stop first to enjoy the Santa Cruz Beach Boardwalk, one of the oldest seaside amusement parks on the West Coast. About 90 minutes south is the Monterey Peninsula, featuring the Monterey Bay Aquarium and historic Cannery Row. If you can, head inland to Salinas and visit the National Steinbeck Center, a museum dedicated to the life and work of writer John Steinbeck. Just south of Monterey is the charming village of Carmel-by-the-Sea. Golf enthusiasts will want to visit the Pebble Beach Links. 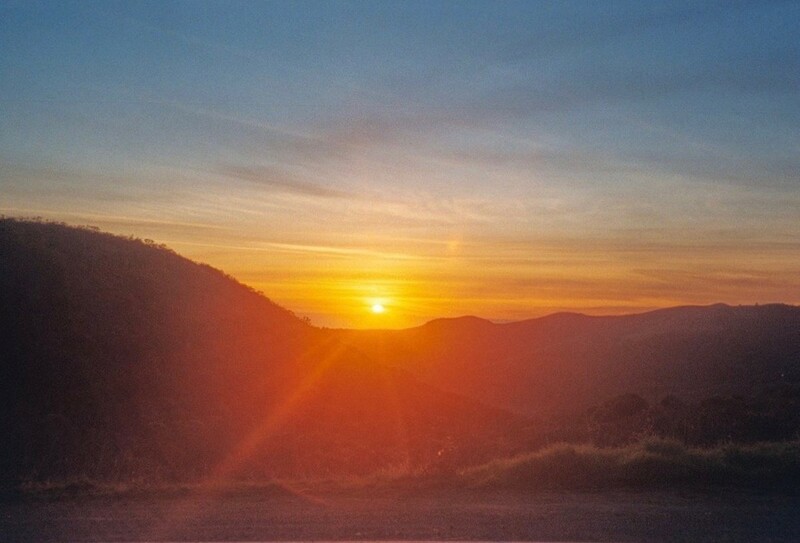 Stay on Hwy 1 for the next leg of your Central California adventure. 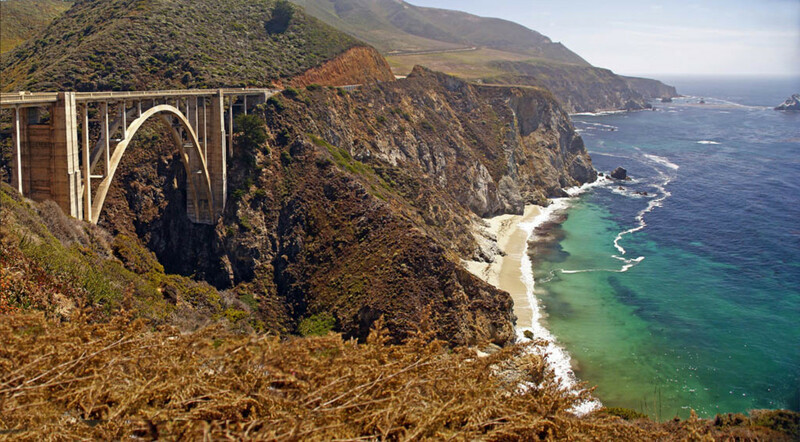 South of Monterey is some of the world’s most spectacular coastline, including the stretch along the Big Sur Peninsula. Cross the majestic Bixby Creek Bridge, one of the tallest single-span concrete bridges in the world (and one of the most photographed). It’s more than a two-hour drive on a curvy road to the next major destination, so have lunch in Big Sur or pack a picnic to enjoy along the way to Hearst Castle. Book a room in Cambria for your visit to Hearst San Simeon State Park/Hearst Castle. It’s recommended to book your castle tour as much as two months in advance. There are several different tours to choose from, depending on your schedule and interests. Located precisely halfway between San Francisco and Los Angeles along Hwy 1, Hearst Castle and the San Simeon beach are a powerful duo and make a stop along the highway in Central California truly magical. Newspaper magnate and industrialist William Randolph Hearst called his hilltop estate “La Cuesta Encantada” —the enchanted hill—and began construction there in 1919. Hearst commissioned architect Julia Morgan to design the sprawling complex, which includes a two-towered main house, two guest houses, gardens, pools, and fountains. Across the highway from the castle visitors’ center is Hearst San Simeon State Park, where visitors can explore coastal bluffs, rocky shore, trails, and campgrounds. The beach south of the Piedras Blancas Lighthouse is a perfect place to see elephant seals, especially in late January, April, and October. In south-eastern California, Death Valley's Badwater Basin is the lowest elevation in North America, at 282 feet below sea level. Death Valley, in spite of its name, is beautiful especially in spring when wildflowers abound. Eighty-five miles away from Badwater Basin is Mount Whitney, the highest summit in the continental U.S. The west slope of the mountain is in Sequoia National Park, home of the giant sequoia trees and the largest tree in the world, the General Sherman. If you’re planning a visit to Death Valley, this is a good jumping off point. Head inland toward Paso Robles. Stop here for a day or two, if you can, and enjoy the Paso Robles wine country. Continue east toward Sequoia National Forest and King’s Canyon, but be warned: You have entered an area of extremes. Not only are you headed toward both the lowest- and highest-elevation places in the continental U.S., the drive from Sequoia park to Death Valley is a 5.5-hour horseshoe route around the southern Sierra Nevada. From one extreme (Death Valley) to the other (Mount Whitney) it is about 2.5 hours by car. Believe it or not, the world’s toughest footrace takes place every July along this route—135 miles from Badwater Basin (282 feet below sea level) to Whitney Portal (8,360 feet elevation). Visit beautiful Santa Cruz, where the redwood forest meets the Pacific Ocean. The Monterey Peninsula is home to a world-class aquarium and the John Steinbeck Center. 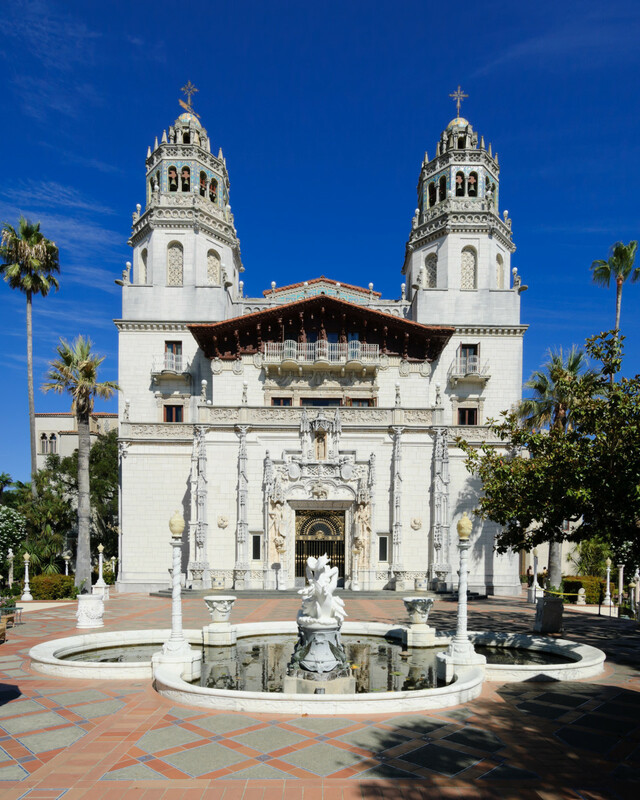 Book your tour of Hearst Castle three months in advance for the best availability. 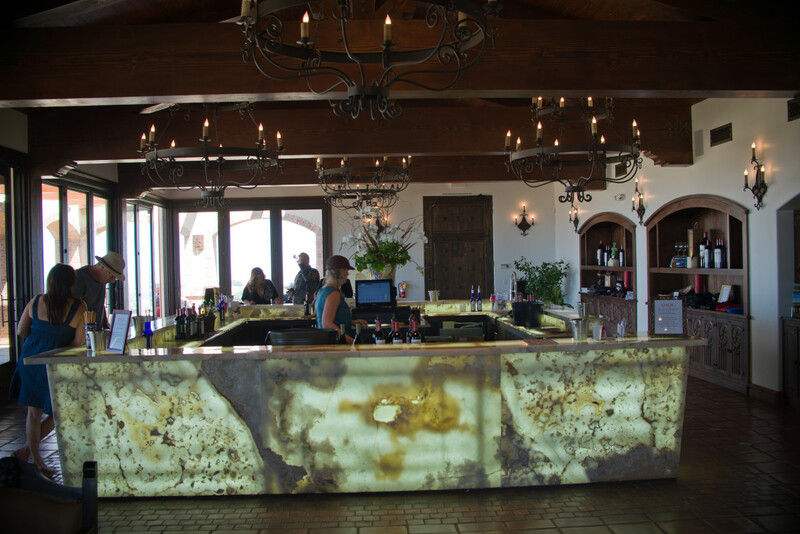 Tour the Paso Robles wine country, a beautiful and less expensive version of the Napa Valley. Sequoia National Park is home to the biggest tree in the world, the General Sherman Redwood. Mount Whitney is the tallest mountain in the continental U.S.
Death Valley's Badwater Basin is 282 feet below sea level. What is your favorite place in Central California to visit? Plan on seven days of fun in Southern California. Start from Santa Barbara and visit the area’s wine country. You will have noticed how vast and spread-out the area referred to as “L.A.” is. Make your choices based upon your interests. The Coast Hwy 1 continues all the way to Santa Monica and passes through the iconic beach community of Malibu. Further south on Hwy 1 is Pacific Palisades, home of the J. Paul Getty Villa (the other part of the museum is in nearby Brentwood). Inland If you want thrills and rides, head inland at Ventura towards Santa Clarita and visit Six Flags Magic Mountain. 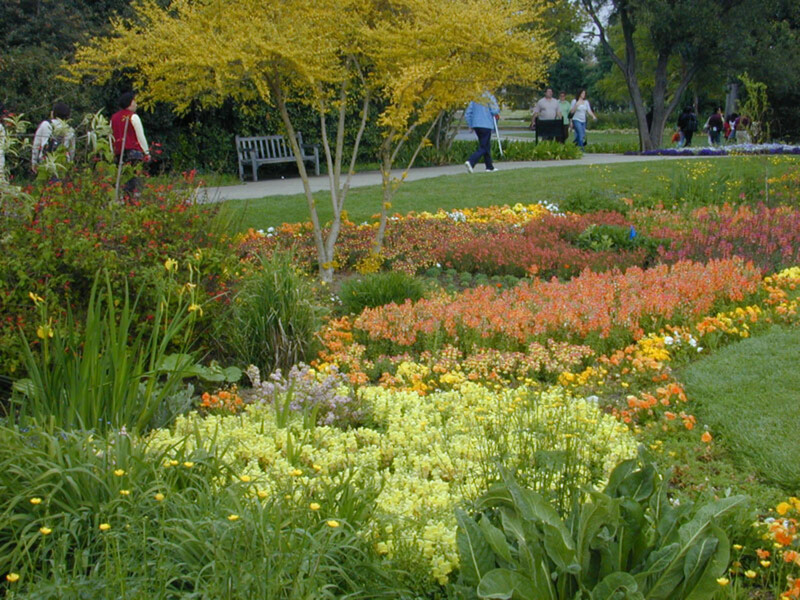 Then head south into Pasadena and enjoy the art and gardens at the Huntington Library and Gardens. 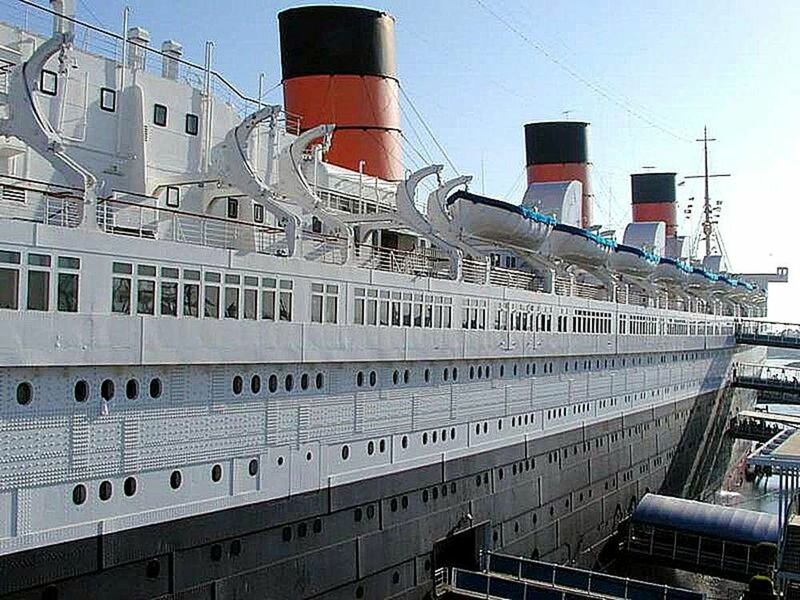 The RMS Queen Mary: Now a hotel at port in Long Beach. The famous RMS Queen Mary is a retired ocean liner now docked in Long Beach. The ship sailed the North Atlantic from 1936 to 1967 but currently operates as a hotel and museum of 1930s nautical history. The observation deck bar offers a stunning ocean view. According to legend, the ship is haunted. A special tour takes visitors to the areas of the ship with the most paranormal activity. Overnight stays and dining are also available. Once the home of railroad magnate Henry Huntington, the Huntington Library houses an extensive collection of 18th and 19th century European and American art, in addition to rare books and manuscripts. About 120 acres of gardens feature specially landscaped areas including Japanese, desert, and Chinese gardens. Daily tours of the gardens, art exhibits, and library are available. Begin your tour of Southern California here on the beautiful Pacific Coast. Decide here whether you want to head inland to Six Flags Magic Mountain or south to Pacific Palisades and the J. Paul Getty Villa. Visit the backlots of one of the oldest and biggest movie studios in the world. The Queen Mary ocean liner is a beautiful place to stay or just have a drink. 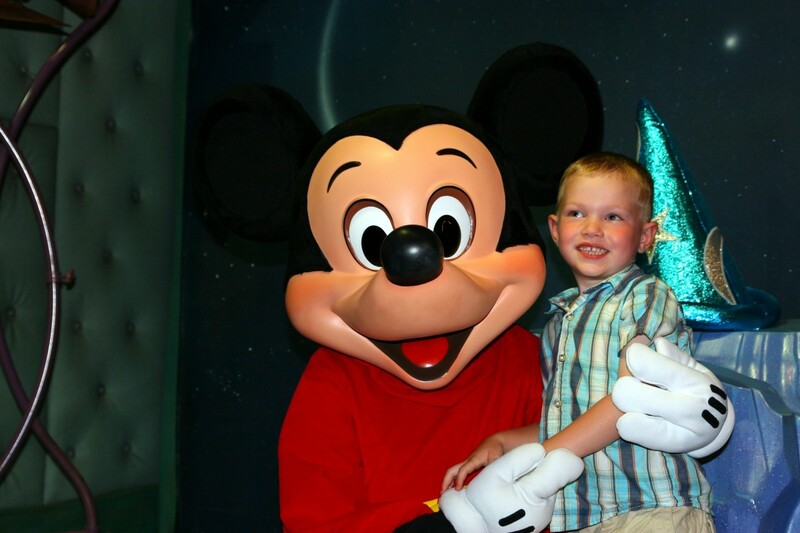 No visit to Southern California is complete without a trip to the "happiest place on earth." What is your favorite place to visit in Southern California? From Los Angeles, there are two major environments to choose from: wet or dry. Explore California’s far southern coast with a drive south along I-5 toward San Diego. Stop in Long Beach or Newport Beach for a weekend. Take the ferry to beautiful Catalina Island. Once in San Diego, be sure to spend a day each at Sea World and the San Diego Zoo. One of the largest zoos in the world, the San Diego Zoo is one of the few in the world that is home to the giant panda. The zoo has the largest population of koalas outside of Australia. Exhibits are constructed as habitats and feature both animals and plants that would co-exist in the wild. 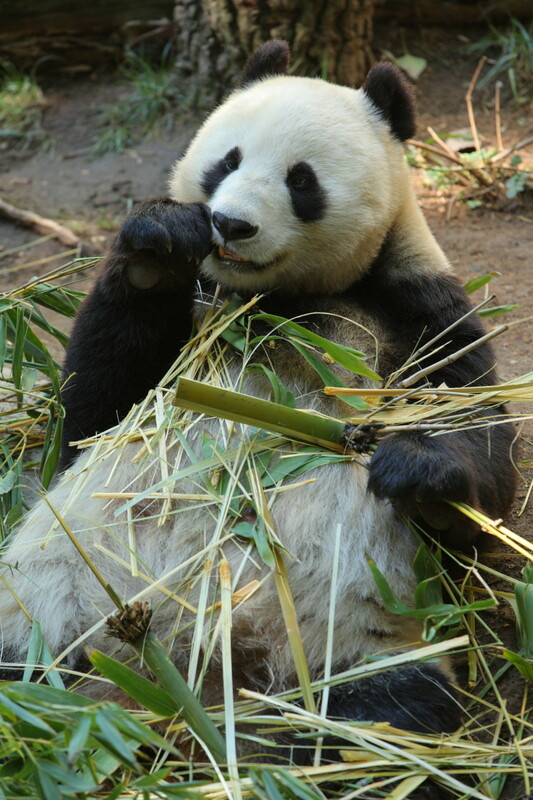 Besides its extensive collection of animals and birds, the zoo features an arboretum and rare plant collection, including 40 varieties of bamboo which serve as food for the resident pandas. 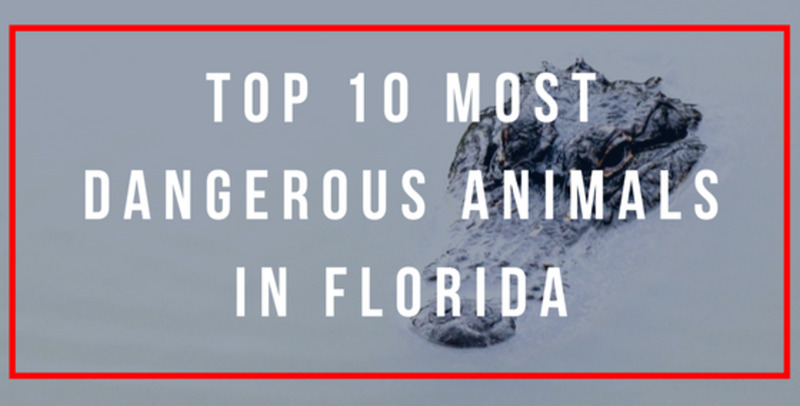 Get up close to some of the world's most beautiful creatures. 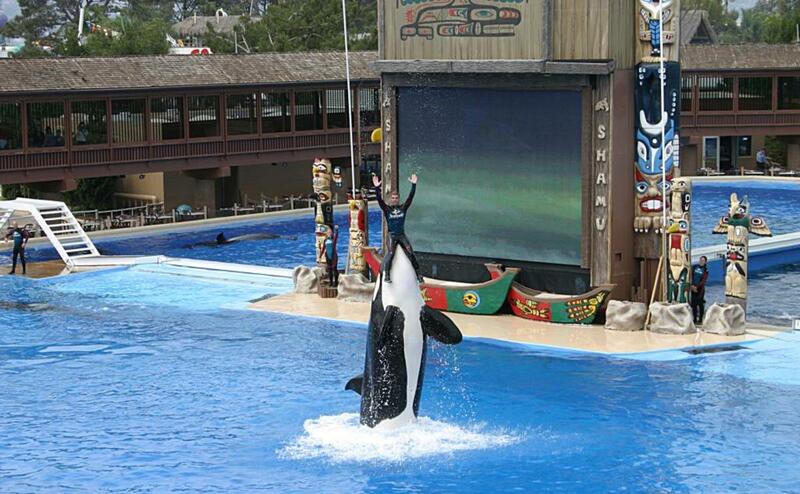 Sea World in San Diego offers an oceanarium, outdoor aquarium, and marine mammal park. Most popular are the animal shows, including killer whale, bottlenose dolphin, California sea lion, and Asian small-clawed otter performances. For a taste of the western desert, head east and south on I-10 towards Palm Springs, known for its hot springs and dining. Stay there overnight and then drive north on Hwy 62 into Joshua Tree National Park, an utterly unique environment of desert plants, animals, and geological formations. If you're looking for a "wet" experience, head to San Diego via Long Beach and Catalina Island. If you're planning a "dry" desert tour, head into elegant Palm Springs on your way to Joshua Tree. 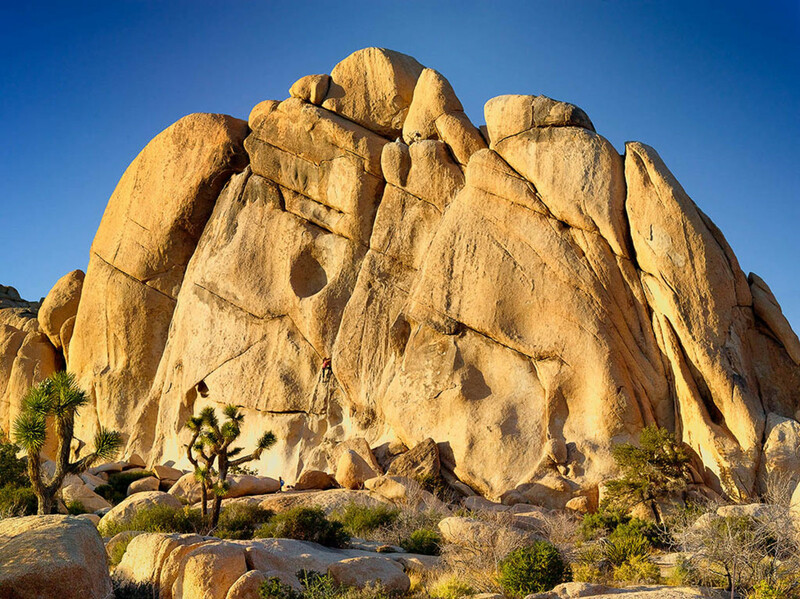 Rock climbing, hiking, and star-gazing are just a few of the ways to enjoy the dramatic landscape of Joshua Tree National Park. What is your favorite place to visit in Far Southern California? If you are used to traveling by car, touring around the expanses of California may not be new. 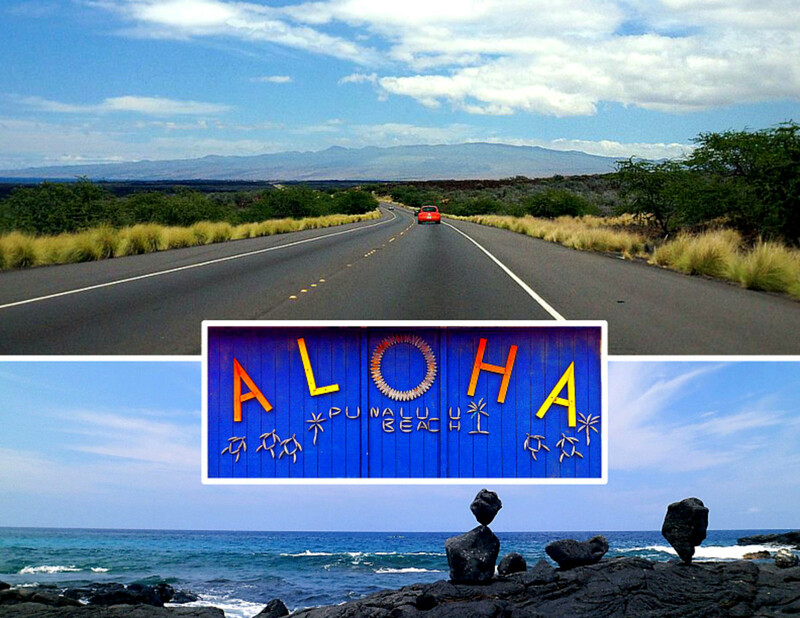 If, however, driving for long hours is unfamiliar, consider these tips to make the trip fun. Don't try to pack too much in. Some stops may offer so many interesting places to visit. 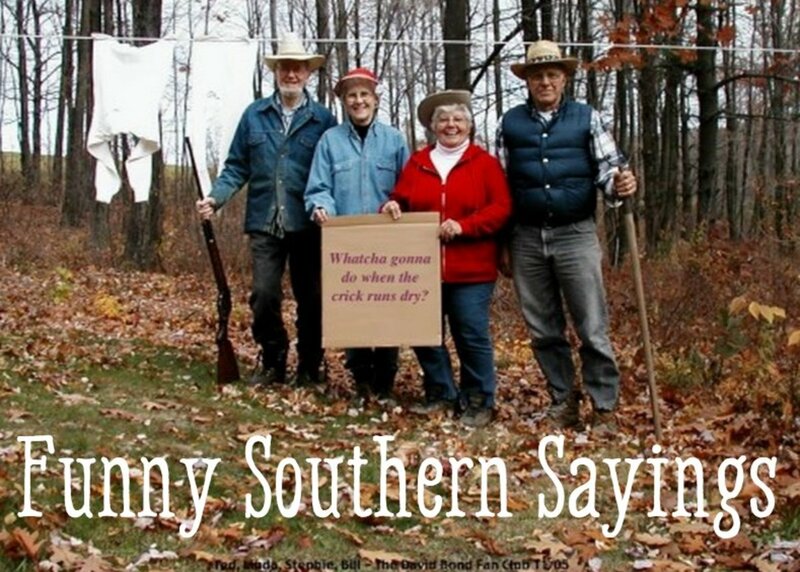 Others may just be a rest stop. Alternate between busy days and resting days. Drive in the morning, rest in the afternoon. California's weather tends to heat up in the middle of the day. Fill up when you hit 1/4 tank. In some parts of the state, gas stations aren't easy to find. Keep your phone charged, just in case you need it. Carry water and some food. You may not always love the restaurant choices on the side of the highway. 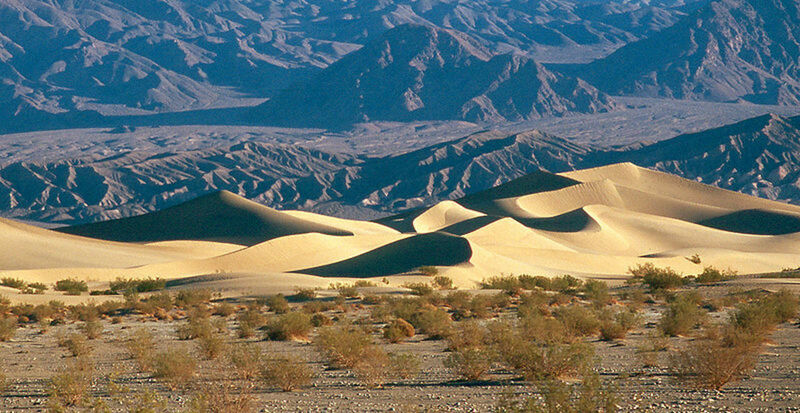 ...but I would've added the Mojave Desert, it's worth the visit to my opinion, even if death valley is generally most well known. We're looking at places to go to during winter and California is one we're looking into. Your hub made me see the places we can see while being there. California is so amazing country.There is a lot places that everyone should see.I like nature so I recommend to everyone to visit amazing California's National Parks! You know your state has a lot to offer when the Huntington Library and Napa Valley don't even crack the top 10! Wow. As I was reading through the list, I thought, "Is this guy crazy? There can't possibly be better stuff to do." Then, at a moment notice, I was the one that was crazy for forgetting about all the other great places. Good hub. I moved to California two years ago and enjoyed your list. So far I have seen the redwoods and the sequoias and a couple other things on your list. I need to see the Hearst Castle as well as the museum in Sacramento. Loved Soaring over California at Disney! I've seen only seven out of the 20 but one of my favorite places in not on this list which are Sequoia National Forest and Kings Canon national park. 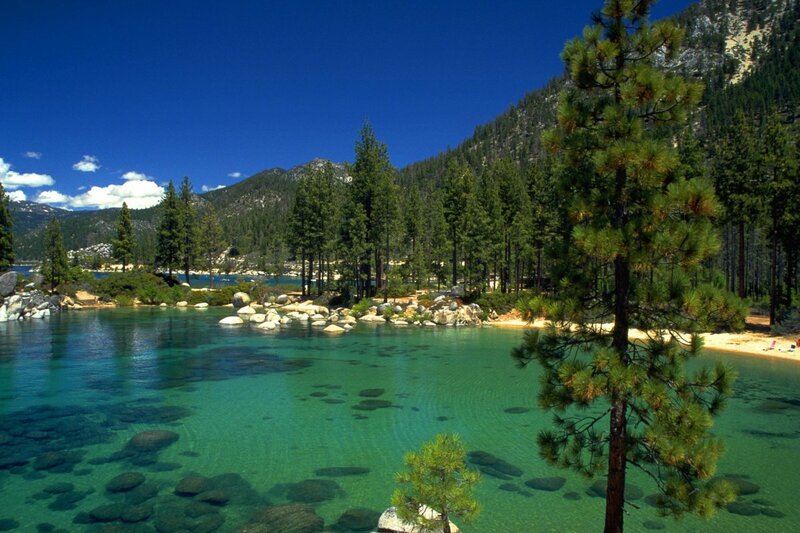 I love to see the giant sequoia trees and beautiful forest areas and lakes. Very interesting and nice place to visit. Thanks for sharing these ideas. I just shared this with our followers on Twitter to promote to fellow road trippers. BTW Transfercar is launching in US soon and offers free rental cars - great for people interested in road tripping around! California Check us out at transfercarus.com. Happy road tripping everyone! Thank you all for commenting. If you have not had a chance to go to California, I do hope you are able to visit sometime. As you can see, it really is a diverse and beautiful state. I've been to all but one ... #19 the State Capitol Museum. But there are so many, many more. @ Om Paramapoonya: Thanks, I am glad to share! @ mckenzie dodge: I do hope your report was good. Thanks for reading! @ LACHICK: We live in such a beautiful country and California shares so much of that beauty, but the Southeast, as you say, is also quite scenic. I live in the Carolinas, so I certainly have an appreciation for the "green" mountains and placid lakes of our region. Thanks so much for your comment. Oh...and I did love taking pictures in San Francisco! @GetitScene: Thank you, I am glad you enjoyed it! @ Caligirl: Wow, I looked at the Monterey Bay Aquarium...very neat! Certainly worth visiting! I have never been to Santa Cruz, but I'd love to go. Thank you so much for sharing. 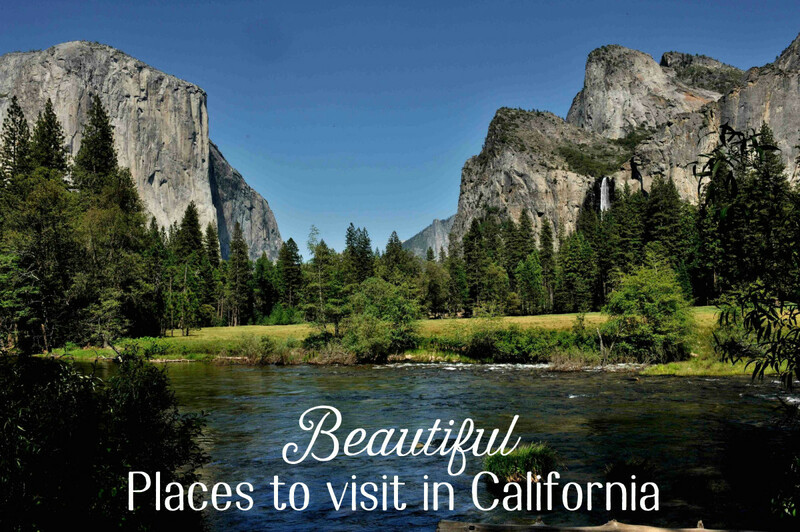 You have added some really great new "places" that are "must sees" in CA! @ Brianna Hernandez: Thank you! Im from Cali...if you want more places to check out... Monterey Bay Aquarium (they have a student discount! must bring valid student I.D) that whole street along with the streets surrounding are amazing! also Peir 39 in San Francisco...lots of fun sites and great food! they have a magic shop there..make sure you say hi to my good friend Neil there! street shows and entertainment surrounds this pier. Santa Cruz beach boardwalk. rides! food! mini golf! arcades! haunted houses! theres also a place called Mystery Spot..this place is sure to confuse you! If you drive down that whole highway (hwy 1) passed the boardwalk...there are alot of amazing beaches..my personal favorite is Seacliff Beach. there's the Winchester House in Santa clara. The Great Mall in Milpitas. Trust me it can be very picturesque, but overall my dear state has completely gone to the dogs. Just took a trip across the US and Places Like Tenn, SC,NC, and Georgia scenery is much more beautiful. I can tell you being a California Native, you can skip going to Six flags (if you want to see gang members not worth it). US bank...wow try the empire state building instead. Overall the San Francisco Bay and any cities with Water will always be worth a photo!!! @tipstoretireearly: You're almost halfway there! I do hope you can knock-out the other 11 soon! @Katie: Way to go Katie! Thanks for reading! @PegCole17: Thanks for your comment. I am glad you were able to see the Queen Mary...and Knotts Berry Farm? I wouldn't have imagined weddings there, but it seems like a pretty cool place to get married! i am planning to a trip to LA , can any one accompany me ......? I love California and you made an awesome list which makes me want to return there. I've been to San Francisco, Napa Valley, and the redwood park from your list and also drove on the Big Sur, which was beautiful. Voted up and useful! What a beautiful state California is! I've seen the Queen Mary (It was fabulous), Knotts Berry Farm (Sister-in-law had her wedding there! ), Newport Beach (Took the Harbor Tour), Sea World San Diego (Did the Dolphin encounter!) and the San Diego Zoo (awesome). I still have a few to go on this bucket list. I've seen 9 of the 20 must see places so far. Hopefully I can return to see the remaining 11 some day!